Women are angels. And when someone breaks our wings, we simply continue to fly...on a broomstick. We're flexible like that. She's strong enough to walk away, but broken enough to look back. Never let criticism bring you down. 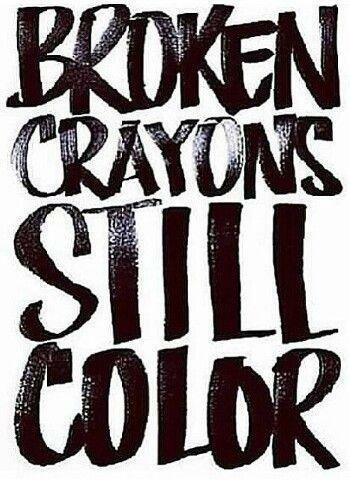 Even a broken crayon still has its color. When you feel broken and your resources are down to nothing, Calm Down and pray because God is up to something! Pain, it'll make you or break you. 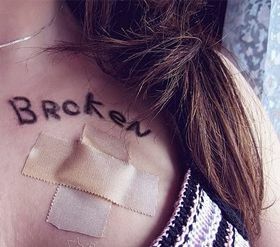 We are not broken just bent, and we can learn to love again. You know the difference between promises and memories? We break promises; memories break us. 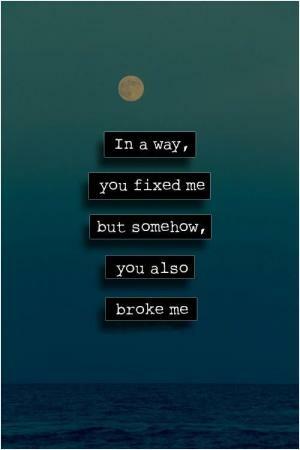 In a way, you fixed me, but somehow, you also broke me.